North Carolina’s 2013 voting law was struck down yesterday by the U.S. Fourth Circuit Court of Appeals. The decision levels the playing field for voting in this battleground state as well as others this November. The unanimous decision overturning the law was decided by a panel of three judges, only two of whom were Democratic appointees. The Court rebuked the North Carolina General Assembly, which acted aggressively to impair African-Americans’ voting rights. The Fourth Circuit indirectly told the Supreme Court that it had erred in terminating Justice Department pre-clearance to prevent discriminatory voting practices. The 1965 Voting Rights Act took the extraordinary measure of identifying suspect districts, forty of which were in North Carolina, and of requiring the state to obtain federal pre-clearance of changes in its election procedures. This was the law until 2013, when the Supreme Court repealed it in Shelby County v. Holder. Chief Justice John Roberts employed a paradox worthy of Lewis Carroll’s Alice in Wonderland, reasoning that because voter turnout in suspect districts now exceeded fifty percent, African-American voters had achieved parity in voting, and there was no more need for pre-clearance. The fallacy is that increased voter turnout resulted in part from the ongoing existence of the preclearance requirement, not apart from it. The N.C. General Assembly created five anti-democratic voting practices, and now all have been shot down. Law students are taught that a court should defer to a legislature insofar as its stated intent in making a law. The Fourth Circuit didn’t accept the North Carolina pretext, and it didn’t accept the District Court’s nearly five-hundred page apologia. When the Fourth Circuit pulled back the curtain, it saw a racially-motivated body of lawmakers trying to turn back the hands of time. Twice in as many months a court of high standing has unmasked the purported legislative intent when the parliamentarians were unable to prove that the law fulfilled its stated purpose. This approach persuaded five Supreme Court Justices last month to overturn the Texas attack on women’s reproductive rights. The Court was given evidence that Texas was imposing more expensive and restrictive rules for an abortion than for a colonoscopy, many times more risky. The Court drew the line. This judicial approach is no “gotcha” for politicians who by mistake have enacted a flawed measure. This is a court challenging the probity of the lawmakers. It also is a red alert to lawyers. If a law is pernicious, don’t be deterred by the drafter’s facially acceptable statement of purpose. Go below the surface, challenge the stated purpose and put the disingenuous legislators to their proof. It took almost no time for Donald Trump to show his hand on American jobs. He’s against them. In the computer industry, in which Americans have expertise, if not greatness, he recruited overseas workers instead . Trump made his pitch directly to Vladimir Putin, asking him to put Russian computer hackers to work breaking into U.S. government and Democratic party servers. The pay offered by Trump: $Zero. He knows American hackers would not work for that rate (although American journalists have been known to do so). America has some of the greatest cybercriminals in the world. Our country is one of the great hacking powers; we’re terrific; Huge. Yet Trump disdains even to engage or solicit American hackers, expatriating the work and depriving Americans of high quality jobs. This proves that for Donald Trump creating jobs in America takes a backseat to his personal ambitions. He did not consider “America First” when he proposed Russian cybercrime. I don’t see why our felons shouldn’t get first crack at the business. 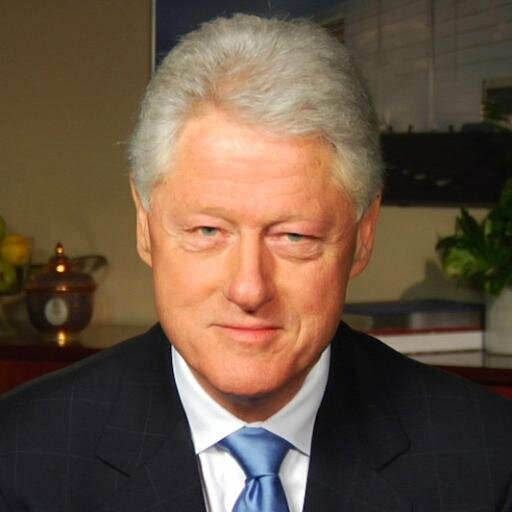 Bill Clinton appeared as the featured speaker on the DNC’s second night. He came after the official nomination and before the ceremonial shattering of the glass ceiling (I involuntarily shouted, “Mazel Tov” at the screen). Bill is moving stiffly now, trembling slightly, his voice a bit hoarser and weaker than in his prime. He took us on Hillary and Bill Clinton’s fabulous adventure from adolescence to the present. He went on for nearly an hour, holding our attention. He described in vital detail all of those moments of transition and growth in his wife’s life, how she got to be who she is and arrive at this moment. He skipped over the rough patches, as expected. In the end, their marriage made for a one-of-a-kind story of two gifted and ambitious people, finding each other and together through life, reaching incredible political heights. Bill made the case for Hillary as a force for social justice and for the improvement of the lives of the poor, capable of moving policy and people. He recounted several fascinating anecdotes, filling in a portrait with details not well known to many. Before the glass crashed, with a bold, colorful image of Hillary following the black and white slide show of the forty-four Presidents, he withdrew, offering a final wave to the convention crowd. This speech was about Hillary, but it also was about Bill. It had the feeling of a leave-taking. Possibly, his presence on the campaign trail this fall will be limited; that this night, he truly passed the torch to his wife, whatever her fortune may be, and stepped away from the political arena. Bernie Sanders’ unpredictable rise in national politics is pushing the Democratic Party out of its left-center torpor, where it has been loitering for forty years. The party’s positioning has changed, and so has its branding. Tonight Sanders delivered his economic agenda to the Democratic National Convention. As an also-ran, he avoided identity politics so common in the Democratic party to advance his economic platform. His message of income inequality, pitting the 99% against the 1%, may fall out of sight during rest of this increasingly bizarre and troubling election cycle. No matter. Bernie has freed the Democrats temporarily from the accursed trap of American Liberalism. Since the days of Kennedy’s Camelot and even more of Lyndon Johnson’s Great Society, the Democrats have rallied around the Liberal flag, promoting equality and justice through social change. It was a politics by those who have, to benefit those who haven’t, without actually turning over the reins. Liberals by and large are white and comfortable, epitomized by the tag, Limousine Liberals. 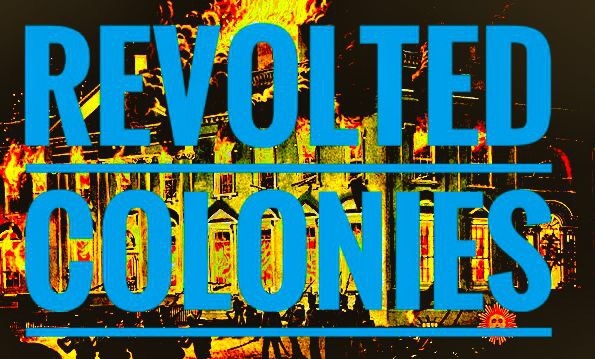 They are stereotyped as prosperous members of the establishment spreading largess hypocritically among the common folk. The Liberal bubble burst in 1972, when Nixon thrashed George McGovern, whose flawed campaign won him a single state. Afterwards, Massachusetts took pride in its bumper sticker, “Don’t Blame Me – I Voted for McGovern.” That was, until it elected Scott Brown to the Senate. As a result of the Reagan Revolution in 1980, Democrats came to believe that they had to move to the center to recapture the White House. Bill Clinton and Barack Obama ran from this left-center spot, always trying to avoid the Liberal tag. Hillary Clinton was following suit. Along came Senator Bernie Sanders, former Mayor of Burlington, Vermont and self-described Socialist. He was elected as an Independent, and he caucused with the Democrats. The Liberal label didn’t fit Bernie, and Bernie never embraced it. Bernie described himself as a Progressive, referring back to the movement at the turn of the last century. Progressivism was an economic movement before it was a political one, challenging the dehumanizing effects of 19th Century industrialization. The union movement, industrial safety and American Communism grew out of the Progressive Movement. By the end of the 20th Century, Progressivism was no more than an historical curiosity. In his campaign this year, Bernie’s best political insight is that he is a Progressive, binding himself to the lower rungs on America’s economic ladder. This vision connected with a middle class sagging from slow growth and stagnation. Bernie connected with older voters, worrying about retirement. It also connected with newly minted college graduates, also worrying about retirement – and about student loans that might still be lingering when they reached their golden age. Hillary Clinton is not a standard-bearer of Progressivism. She is an old-line left-center Democrat, who espouses Liberal values. Through the agency of her White House years with Bill Clinton and the Clinton family’s enormously successful global initiative, she became part of the 1%. On departing the White House in 2000 with some of the silverware, Hillary received an advance of $8 million for her memoir. She later wrote that she left the White House “broke.” So much for remembering your roots. Hillary Clinton the Progressive Revolutionary? Not in a million years. For the next few months, though, nobody will be calling her a Liberal. 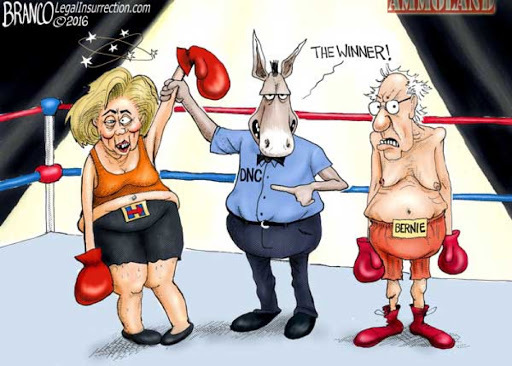 Bernie Sanders was right all along, when he accused Debbie Wasserman Schultz and the Democratic National Committee of fixing the primary against him. The DNC emails leaked the day before the convention are incontestable. Schultz was forced to step down before the big event. Donna Brazile will take over, and the show will go on. Bernie is furious, and he has the right to be. One word from him, and the convention would devolve into a riot that would make the recently finished Republican debacle seem as placid as High Tea. Bernie won’t do that. He stated clearly today that beating Trump was his paramount concern. Tearing down the Democrats would be counterproductive. His supporters will be unruly bout they will follow suit. Bernie is holding a marker, though, and it will be interesting to see when and how he cashes it in. Bernie’s top concern is campaign finance and income inequality. 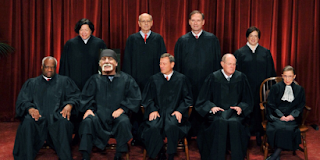 He will undoubtedly have a place at the table in the appointment of Supreme Court Justices. Merrick Garland’s dream is over now, no matter the promises that had been made to him. 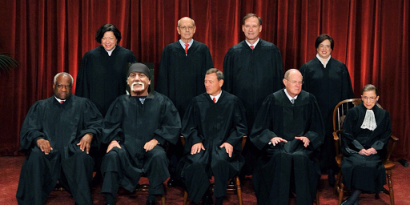 The next person on the bench will be as far to the left as the Senate can pass. I expect also that he will want a voice in Treasury for the overhaul of tax policy and enforcement. Unless Hillary was involved and sloppy enough to use email, the bleeding will stop here. It’s a political party. Congressional Republicans can’t hold a hearing. They can only criticize. If anyone is holding an Ace, it’s Bernie. I’m sure he’s mad, but he’d prefer to get even. Sorry, Was That Your Bump I Stepped On? While Hillary Clinton introduced Tim Kaine as her new running mate, he sat upstage, beaming past the TV camera and out into the firmament. He clapped when the crowd did, out of habit, even when clapping for himself. Then he stepped forward to greet the crowd. “Bienvenidos a todos,” — Greetings to you all. A roar arose from the Miami audience. The aftershocks can be felt in places as far away as Texas, Arizona and California. Picking Kaine was a very good opening move, even if speaking Spanish fails to answer the question,” ¿Y que?” The Latin community is looking for more than lip service from the next administration. U.S. Senator Tim Kaine is the retail politician this campaign has lacked. He is the new star attraction, a positive charge to offset the negatives. His smile and energy are infectious. And when in Miami, he speaks both its languages. He will be a big help on the campaign trail in places where Hillary Clinton could use a lift. As a progressive, he has taken stands that he now may have to retract, like his opposition to Israeli Prime Minister Netanyahu or the Iran Nuclear Deal. Nevertheless, it was clear as well that Clinton was buoyed by his presence, just as Elizabeth Warren’s joint appearance made her appear less tense. Hillary is better in a team than as a solo act. Kaine, somewhat like Bill Clinton, enjoys the public side of politics. For Hillary, it seems a necessary part of the package. When a true crowd-pleaser like Kaine takes the stage, she genuinely enjoys it, as well as she appreciates the attention shifting away from her. Unlike Bill Clinton, Kaine is there to play a supporting role, and no doubt he will. But it’s not hard to see him soar to the best ratings of the four remaining prospects. Kaine is more than likeable enough. It’s still Clinton’s race, of course. She will have to run smart wire to wire. His well-received appearance took the spotlight away from the RNC. Whatever bump they hoped to get, if indeed there was a bump at all, would be overshadowed by the new bright, shiny object. 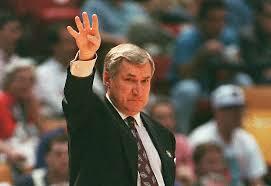 College basketball didn’t have a shot clock. 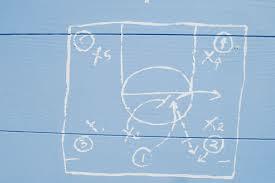 It had the Four Corners offense, a stall tactic to run down the game clock so the trailing team couldn’t catch up. The stall only worked if there were no turnovers. It was boring to watch, and the college game now has a shot clock. The Four Corners offense is still used in hockey, a game played with pads, and politics, a game played without them. 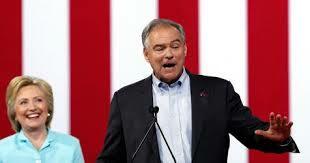 Hillary Clinton went into a Four Corners set yesterday, naming Virginia Senator Tim Kaine as her running mate. She might think if she plays mistake-free till November she will beat Donald Trump. She’s not clearly ahead in many polls but she is ahead in most of them. She expects Trump to continue to have fiascoes, as he did all this week. The RNC was entertaining as Trump predicted. Instead of a Beauty Pageant, however, it was Demolition Derby. Clinton shouldn’t count on Trump’s continued self-destruction, although he is not a quick learner. .
Clinton of all people shouldn’t feel safe. In 2008, then-Senator Obama came out of nowhere, overwhelmed and outperformed her. The Coronation was suspended due to a leaky foundation. Clinton was outdone by a superb, unflappable politician, who as President has presided over eight stormy years of American life. “The best person did not win,” a Hillary supporter has said. “You are what your record says you are,” Bill Parcells said. The better campaign won. In 2008, her campaign staff was a shambles. In 2016, Clinton’s entire organization has run smoothly. Their ground-game and strategy have kept her ahead in the delegate count from the beginning. She had the super-delegates and kept them. Bernie is a Johnny-Come-Lately to the Party. Hillary is the Queen of Clubs. Props to Bernie Sanders for making it a close race, but she played the system better. Her political team has been out in front since the beginning, and there have been no new mistakes. Clinton’s challenge is neutralizing her past mistakes and reining in Mr. Bill, a heat-seeking missile with faulty guidance. 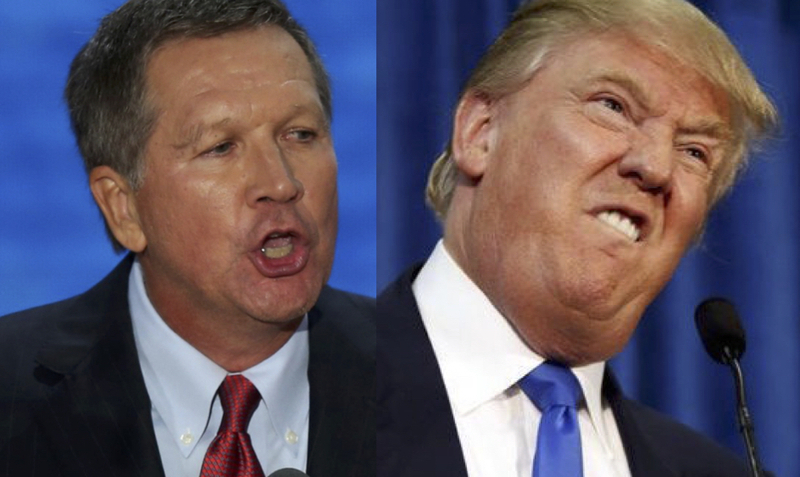 Donald Trump offered John Kasich the Vice-Presidency with virtually unlimited powers. Trump’s son, who had the discussion with Kasich, denies the allegation. “You know the way I conduct myself. Do you really believe I would say, ‘(John Kasich) is in charge of foreign and domestic policy and (Donald Trump) will focus on making America great again’? What am I, a meathead?” he told CNN. Sometimes, I really love rhetorical questions. Kasich’s version fits Trump’s m.o. better than Trump’s version. Trump wants to be a brand. Forget all the lying eyes from Ivanka Trump about him being a lunch pail kind of guy. Trump is a brand. Nothing beats the brand like President Trump. I think Kasich is “truthier” and in this case, the glove fits. Trump supporters by now must recognize that their guy is a mile wide and an inch deep. He’s looking forward to working 18 hours day like he’s looking forward to a case of shingles. When Ted Cruz took the RNC stage on night no. 3 and refused to endorse Donald Trump, he was playing Crazy Eights for 2020. Cruz, Senate pariah, never backs away from a fight, especially when he’s going to get trampled. The Von Trump family, arrayed in the Royal Box, was stupefied. They stood there slack-jawed, except for Trump himself, whose face was tightly clenched, like the Death Mask of someone who died from self-inflicted temporo-mandibular joint syndrome. Cruz is a smart cookie. He tricked Trump into letting him speak. While other Republicans cursed the nominee privately and endorsed him publicly, Cruz did the opposite. He knew that he would be jeered for it, and he was. He and his wife left the convention, and they didn’t get one of those wrist bands to get back in. Gone, gone, gone. The Republican Party used to be about discipline. The smart ones made a deal with the crazy ones, and they shook on it. The new Republican Party looks as perplexed as the Democrats used to be. There are wheels within wheels within wheels. Cruz’s stand is a bizarre exercise in self-interest, not easy to dope out. Trump is a flawed, perhaps fatally flawed candidate. Cruz and maybe the party have resigned themselves to a Clinton victory. Cruz is still in the Senate, where he is loathed. Mitch McConnell can barely stomach Trump but he is a creature of party loyalty. Cruz’s apostasy won’t sit well with the Senate Majority Leader or anyone in the Republican caucus. 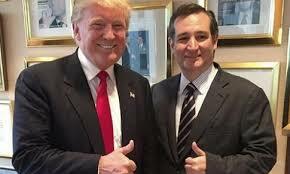 If Cruz was thinking that his enemy’s enemy is his friend, he didn’t figure that disloyalty itself, a reminder of Cruz’s power plays last year, would further turn off leadership to him. Without party leadership, Cruz has only his base to fall back on. He was the second highest vote-getter but he fell far short of a mandate. The Republican Party does not distinguish between Conservatives, like Kasich, and Reactionaries, like Cruz. Trump has scooped up those Reactionaries for now. Cruz is betting that they will return to him when the Trump Tower elevator winds up in the basement. The reactionary wing of the Republican party may be the rump party coming out of 2016, but it is nowhere near a majority party for national elections. It may continue to control the House for a while through gerrymandering. The Senate and White House will be out of its reach. It could be that Cruz was falling on his sword. He might recognize that he is at the end of the line electorally. He can continue to be a Senator for Texas. Loftier ambitions are probably out of his reach, unless he or circumstances change profoundly. There is a word for the pleasure I feel when, in damaging Trump, Cruz destroys himself. Schadenfruede.